Barter Books : Berry, Scyld [ed.] 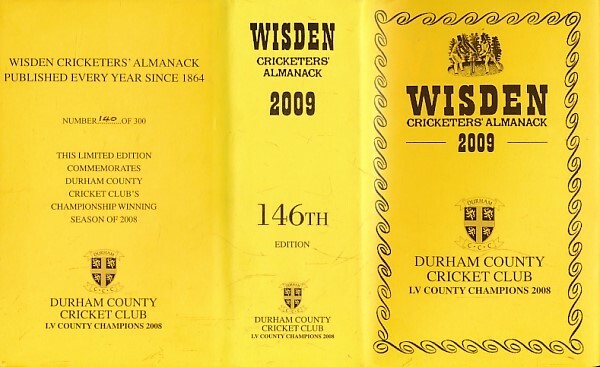 : Wisden Cricketers' Almanack 2009. 146th edition. Durham limited edition. London: John Wisden & Co Ltd.
160 x 100 mm (6 x 4 inches) - 1680pp + ads. Durham CCC limited edition jacket.